Live Printing in NYC with Microsoft. This opportunity to create a live printing installation at Skylight NYC at Moynihan station New York, NY during the Microsofts Windows 10 Devices event came as a dream come true and deep honor for our live print team. We created a unique experience of on site custom printing and utilized our custom design software for one of the most amazing clients. Our live print and design experience allowed Microsoft execs and fans to create their own unique product using the new Surface Pro 4 tablets, then watch it get printed! When you are asked to design a custom interface that will be used by the executives of Microsoft and knowing that the Microsoft CEO Satya Nadella will be present; your nerves certainly rise and you aim to cover every angle of your technology, making sure its on point. We went in confident knowing that we had tested and re tested our custom live print design software on these incredibly powerful new Windows 10 devices and new Microsoft Edge browser. You have to know your software works well before you enter the building. 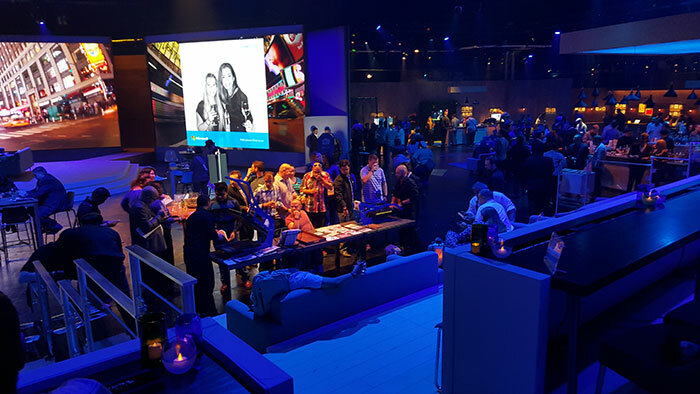 When the doors opened and the crowd entered into this elaborate and amazing showroom featuring latest Microsoft technology we immediately were rushed. We explained to hundreds of people that we were live printing custom products and that they could use the new Surface tablets to create their own design and then watch us print it. Every single reaction was overwhelming, they loved it and watching them use the touch pads to design their product was so amazing! The live printing was super busy but went smooth and we delivered over 400 custom printed products during the party. 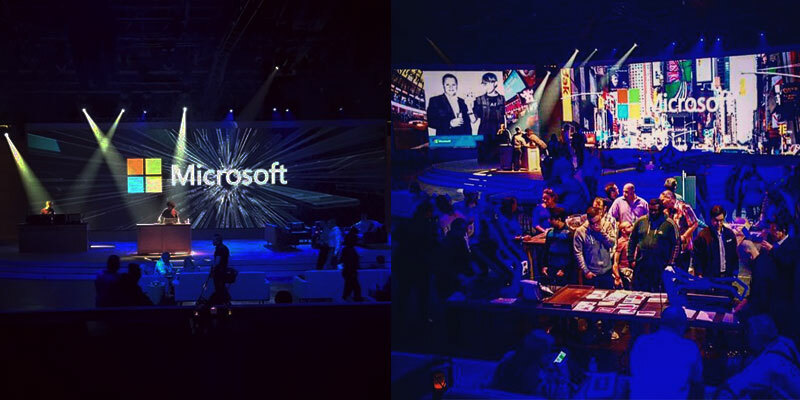 How cool of Microsoft to put together a massive afterparty featuring the best and latest unreleased technology! We can’t disclose too much of what we saw but just know that the products Microsoft is releasing within the next few months will blow your mind. The venue, the Skylight NYC at Moynihan station in downtown Manhattan was outfitted with some sweet features that were set up by some extremely talented production groups including Zed Ink who put in some serious overtime putting this all together. Live Printing is our thing. We absolutely love to collaborate with companies like Microsoft to make something super unique on site. Our team works very hard on site to ensure every single engager is taken care of with extreme detail. We don’t overlook a single person as they approach us and we work hard to ensure when they leave, they are leaving happy. We feel blessed by this opportunity and thank Microsoft, Zed Ink and everyone that had a part in putting this amazing event together. We are so happy to have been a part of it. Find out more about our Live Printing and Custom Design Software. Book Us for Live Printing at your next event! Start by telling us a little more about it.